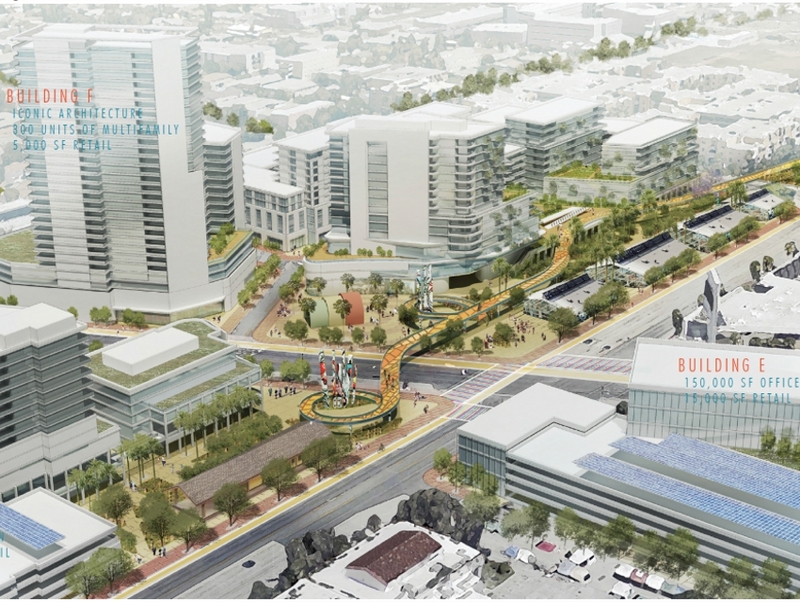 Metro is working on developing the vacant parcels around the North Hollywood Red and Orange lines—and they just got a doozy of a proposal. Developers Trammel Crow and Greenland (the latter is behind the giant Metropolis project in DTLA) offered up three suggestions, all of which include a combination of mixed-use buildings. The most ambitious project adds high-rises and an elevated pedestrian and bike path that would float above Chandler Boulevard. We’re far from any firm commitment to such a novel project, though it’s exciting for many reasons. A bike highway would offer strolling and cycling opportunities separated from dangerous interaction with cars; it could offer fresh, High Line-esque views of the city; most importantly, it would revive a transportation innovation that L.A. abandoned over a century ago. 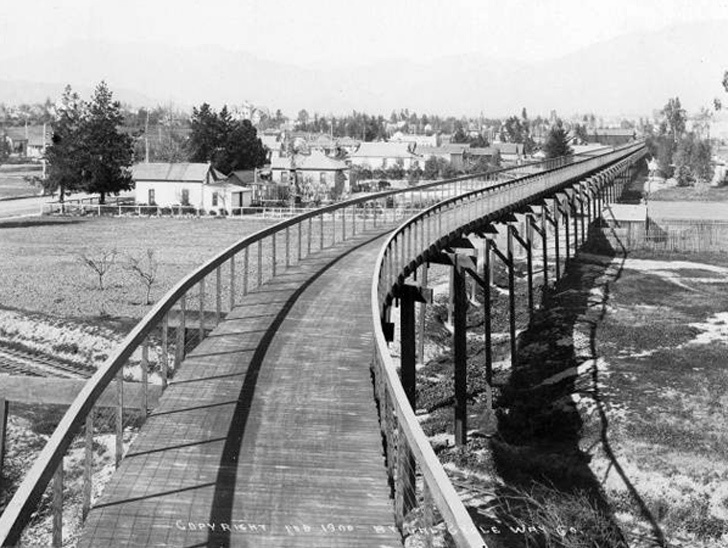 A man named Horace Dobbins envisioned, and partially built, an elevated “cycleway” between Pasadena and Los Angeles in the late 1890s. Bicyclists paid a nominal toll to ride the route, which had “exits” to local attractions like parks and hotels. Only a little over a mile of the track was built—in Pasadena—as issues arose and the car craze took over. Eventually the bike highway was torn down to make room for, ironically, the Arroyo Seco Parkway. We’re all for bringing the bike highways back, though we do wonder how the pedestrians and bikes will travel together in peace. Maybe we need several levels—one for bikes, one for pedestrians, and another for texters. Next articleThe Reformation Clothing Line Is on Every ‘Best-Of’ List: What Makes it so Great?